However, what if your year wasn’t so great? Eric Meyer, web advocate and author of many books on CSS (Cascading Style Sheets) penned an excellent post “Inadvertent Algorithmic Cruelty” on Facebook’s repeated prompting on showing a picture of his daughter who passed away this year. “This inadvertent algorithmic cruelty is the result of code that works in the overwhelming majority of cases, reminding people of the awesomeness of their years, showing them selfies at a party or whale spouts from sailing boats or the marina outside their vacation house. Algorithms are essentially thoughtless. They model certain decision flows, but once you run them, no more thought occurs. To call a person “thoughtless” is usually considered a slight, or an outright insult; and yet, we unleash so many literally thoughtless processes on our users, on our lives, on ourselves….. …..There was a time when shortfalls [in foreign exchange supply] would occur seasonally, close to Christmas and the hectic August travel period. Over the last two decades, demand for foreign exchange not only expanded but its composition has also changed to reflect new patterns of consumer spending, for example, use of credit cards for making online payments. 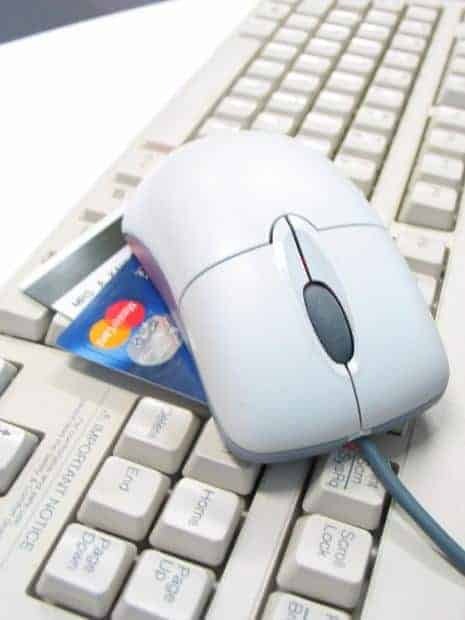 Today is now known as “Cyber-Monday” in the United States and many locals will flood US retailers’ websites from the comfort and warmth of their homes in Trinidad and Tobago thanks to the Internet, credit cards and US delivery addresses. Foreign credit card purchases devoured US$570 million for the year so far. That excludes today’s Cyber-Monday sales and upcoming Christmas purchases. Last year, foreign credit card payments consumed US$530 million. That is more than US$1 billion spent foreign credit card purchases in just two years…. The Trinidad Express December 20 2014 article discusses this and describes the increasing number of freight forwarders and their increasing volume of packages they are bringing. with two schools one in the US and one in Mexico having a real-time conversation in English and Spanish. The Trinidad and Tobago Computer Society will be having its end of year pizza lime on Wednesday December 17 2014 from 6:30pm to 9pm at Kava Restaurant at Kapok Hotel. Come join as we eat and chat about various ICT topics. Anyone interested in computing and ICT are welcome to attend. Please note that the contribution per person for this event is $150 TT. RSVP to [email protected] as space is limited. Great infographic from http://www.whoishostingthis.com/ on what programming language you should learn. The Redmond-based tech giant is now accepting bitcoins for buying games and other digital content on its Windows, Windows Phone and Xbox platforms, allbeit only from US customers. Adobe has updated its Adobe Reader software (used to view PDF files) and Acrobat software for Windows and Macintosh to “address vulnerabilities that could cause a crash and potentially allow an attacker to take control of the affected system”. Such vulnerabilities in Adobe Reader (and Acrobat) before December 9 2014 could allow for execution of unwanted code (typically installing malware or viruses/worms on your PC), without your consent just by opening a PDF. Read Adobe’s security bulletin dated December 9 2014 at http://helpx.adobe.com/security/products/reader/apsb14-28.html for instructions on how to update Adobe Reader and Acrobat. Adobe has posted a critical security update for Adobe Flash Player on December 9 2014 for Windows, Mac OS X and Linux. The latest versions bumps the latest version of Flash Player for Windows and Mac OS X to version 16. Google Chrome browser users has Adobe Flash Player built-in and users should update the Google Chrome browser to the latest version. See https://support.google.com/chrome/answer/95414 on how to do so. Adobe has posted a 2nd critical security update for Adobe Flash Player in November 2014 for Windows, Mac OS X and Linux.